According to the Stack Overflow survey, Xamarin is a most loved (49%) AND most dreaded (51%) framework. That's kind of interesting and in this piece José gives his opinions why this might be so. Ahh, ServiceLocators... Love 'em or hate 'em, people have opinions. Scott Hannen weights up some pro's and con's and lets you know it's okay to not hate them (with some caveats). A design inspirational library featuring the finest UI UX Patterns (iOS and Android) for designers, developers, and product makers to reference. Notifications are anti UX. They are a distraction. So how to design your notification so that it becomes purposeful and useful? Nobody is suggesting you should be trying to "Game the App Store" but there are some tricks that various developers have used. David Barnard, highlights some of those tricks. Capturing network traffic between your application and your server is a handy way of checking and debugging the data you are sending and what comes back from the server. Gerald walks through some struggles to get your Tizen environment configured on a Mac. If you are looking at doing some Tizen, this could definitely save you some time. If you don't use code snippets, or create your own to make your life easier, you probably should. Here is a breakdown of how to construct your own Code Snippets. Snackbar provides a non intrusive way to notify a user about something. It can also be used to initiate an action with a clickable button on the snackbar itself. Snackbar is a really useful and effective material design UI element. At the Queensland C# Mobile Developers meetup group's final meetup for 2018, Ryan Davis gave a talk on ARKit - Apple's Augmented Reality (AR) - framework for mobile, ARKit, and how you to use it with Xamarin. It's always interesting to read the successes and challenges of people contributing to the core Xamarin.Forms code base. Gerald is definitely one of those people. (The community thanks you!). In this article, he talks about a couple of issues he fixed regarding UWP. Alex Dunn shows how you can add in some "Developer Only" options into your forms applications to help you with testing and debugging your apps. Well, it’s been a while since Brian Laguna’s and the Prism team released Prism 7 and I’m finally getting around to updating some of my old projects. Prism 7 comes with some neat new features, but also carries some API changes, so if your existing Xamarin.Forms application is on an older version and you want to update to the latest, there will be some leg work involved. In this post, we’ll explore how to migrate from Prism.Forms 6.x to 7. The MessagingCenter in Xamarin.Forms allows you to send messages from anywhere in your code and respond to it in another part of your application (could be your shared code or your platform specific code). In this article, Juliano shows a simple example of creating a little platform-specific popup using the MessagingCenter. The awesome SwipeCardView has been updated to Version 2.0 with lots of new features and improvements. If you are looking for a control to do swipeable "Tinder" style layouts then this is just awesome. In this Xamarin Show we take a look at how the new simplified Android device manager works enabling you to create and edit new and existing Android emulator images. 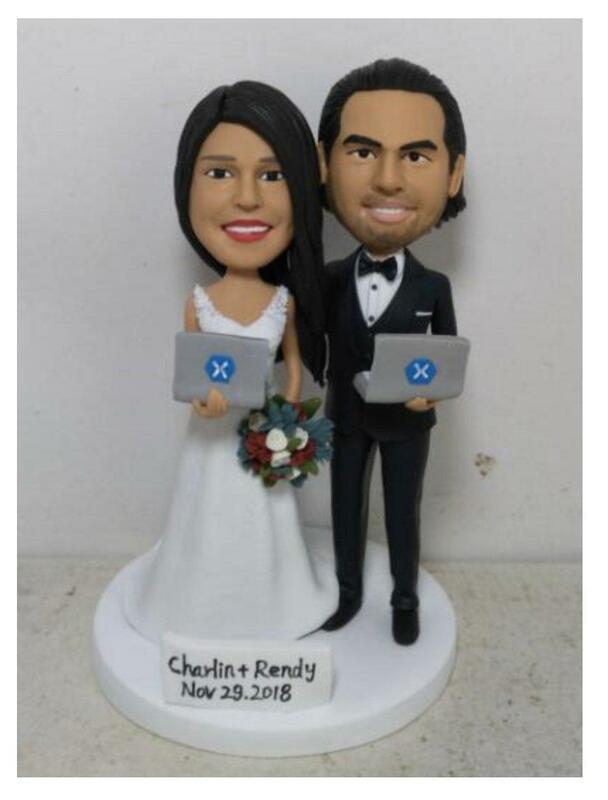 Not to be outdone, awesome Xamarin community leaders Charlin Agramonte and Rendy Del Rosario are getting hitched. Congratulations!!! All the very best from the community!